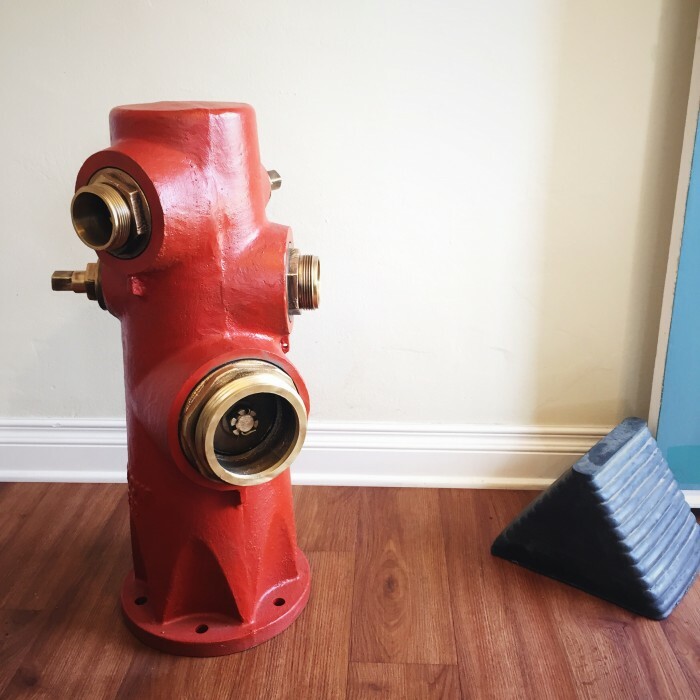 Restore an old fire hydrant to make awesome office art! 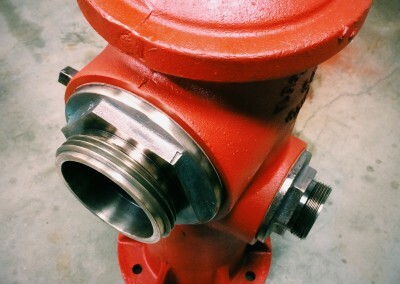 I really enjoy industrial design. 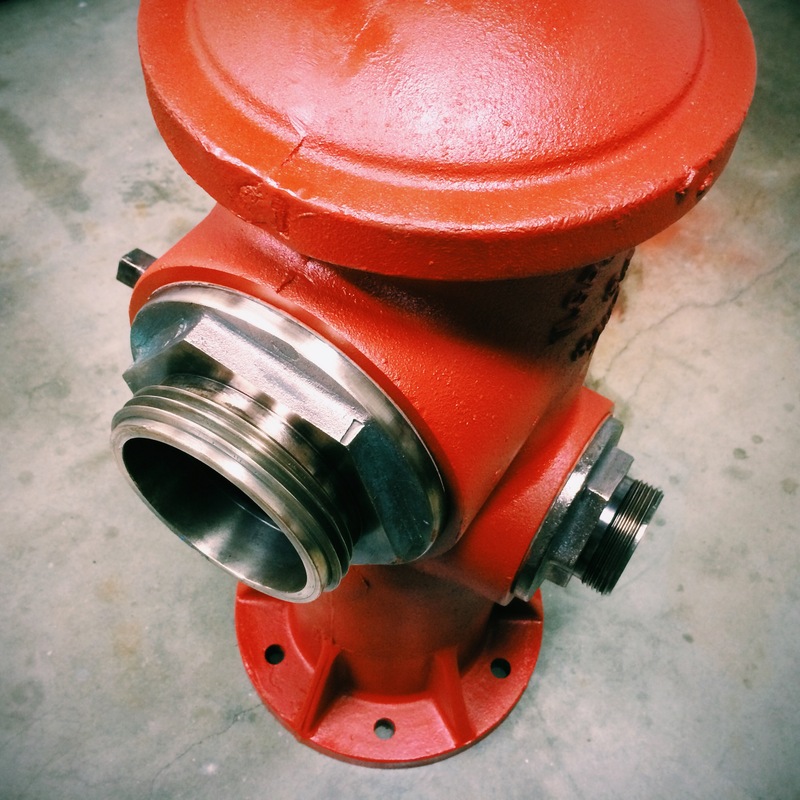 Objects that have been created for a specific purpose tend to encompass clean and honest design with no pretense. 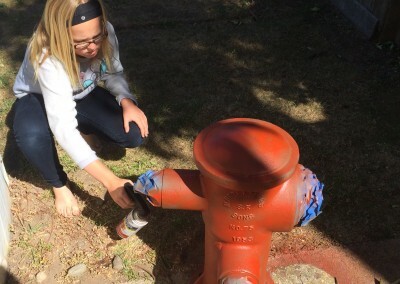 Recently I began lusting after fire hydrants. A quick Craig’s List search and I was in the money! 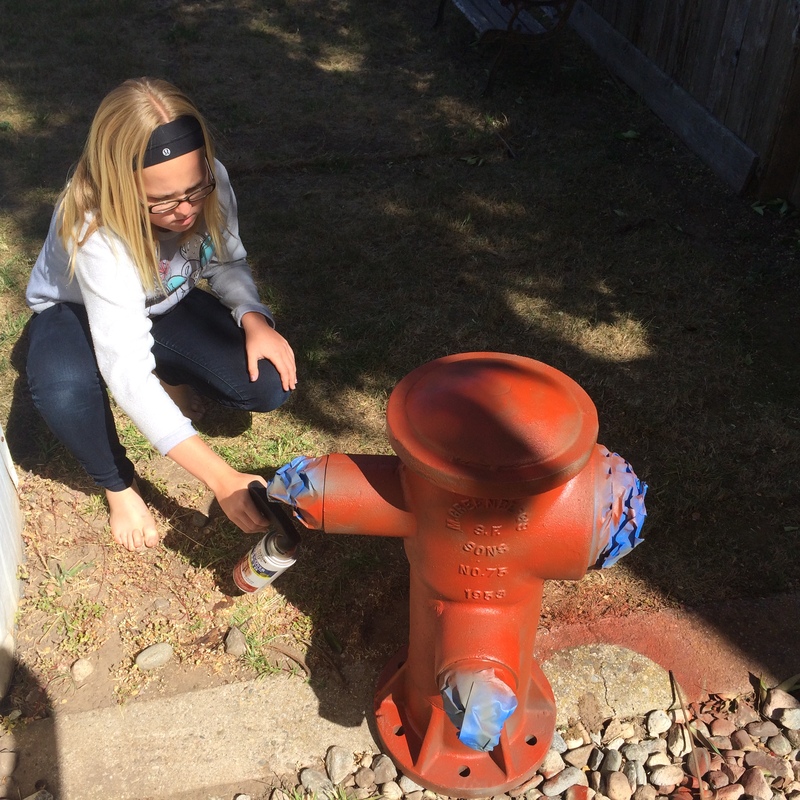 Below is the process I have followed to refinish several old fire hydrants to restore them to their original glory! 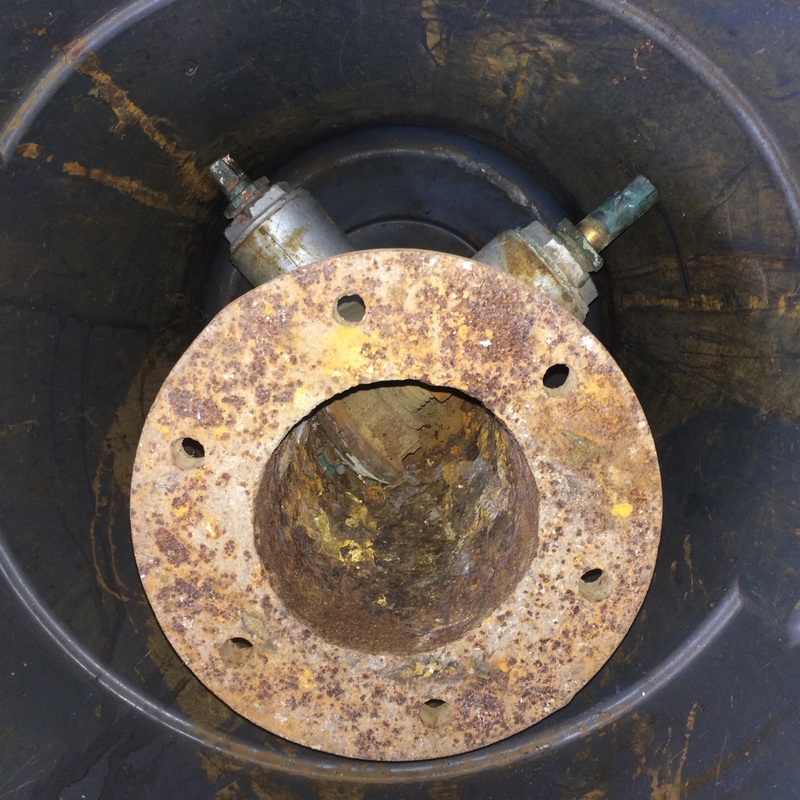 Place the hydrant in a large waterproof container that will allow for full submersion – like a trash can. 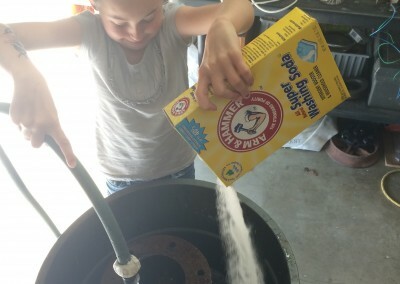 Pour in some Washing Soda (sodium carbonate) to serve as the electrolyte. 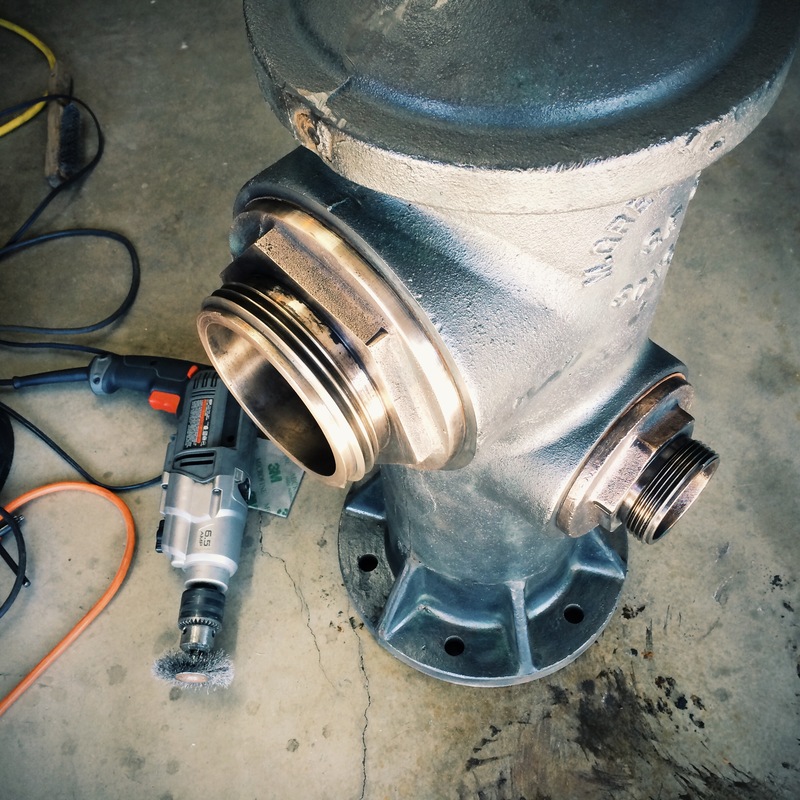 Suspend several iron bars (don’t use stainless steel) around the hydrant – don’t let these touch the hydrant or your power supply will short out and need to cool down for 5 minutes. 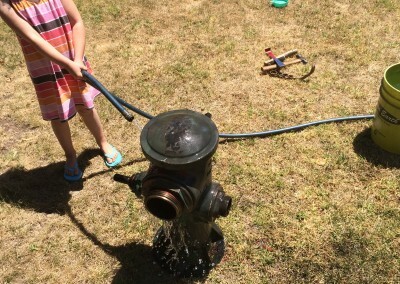 Connect the ground to the hydrant and the anode to all the iron bars. 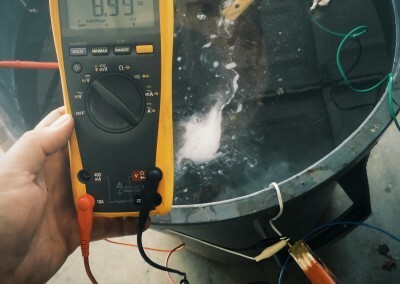 Connect the power supply to a ground fault protected outlet (GFCI) just in case – water and electricity, what could possibly go wrong! 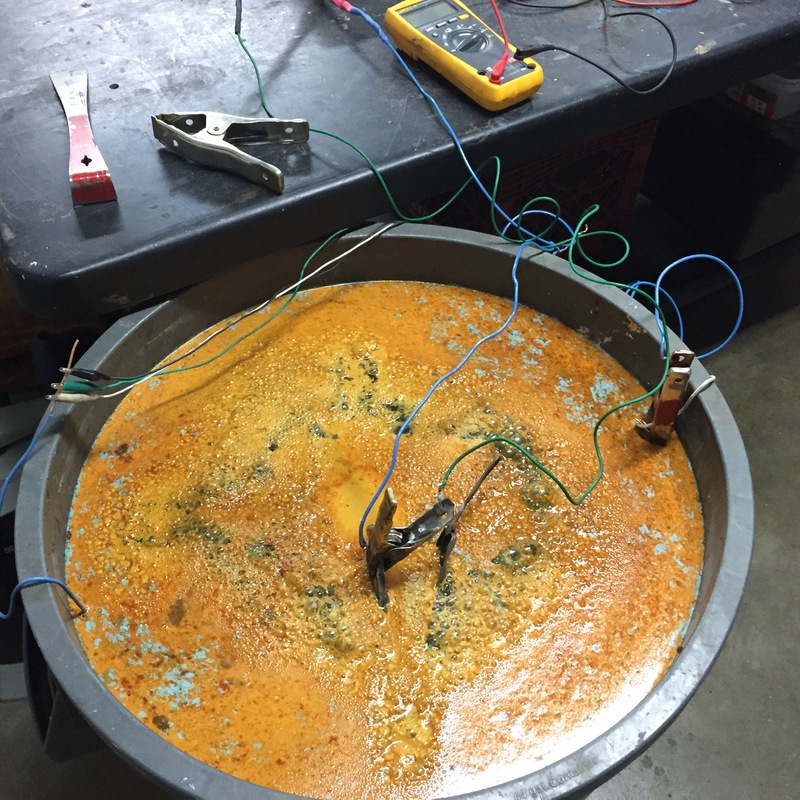 Within a short time span, you will see lots of multi colored gunk bubbling up to the surface as the rust is being dissolved by electrolysis. 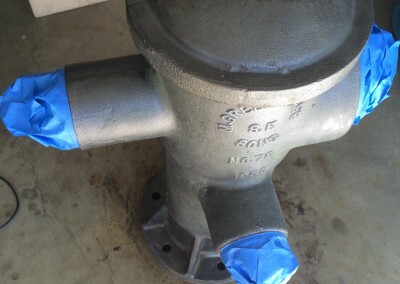 The reaction also occurs under the paint which loosens it and makes it easy to remove. 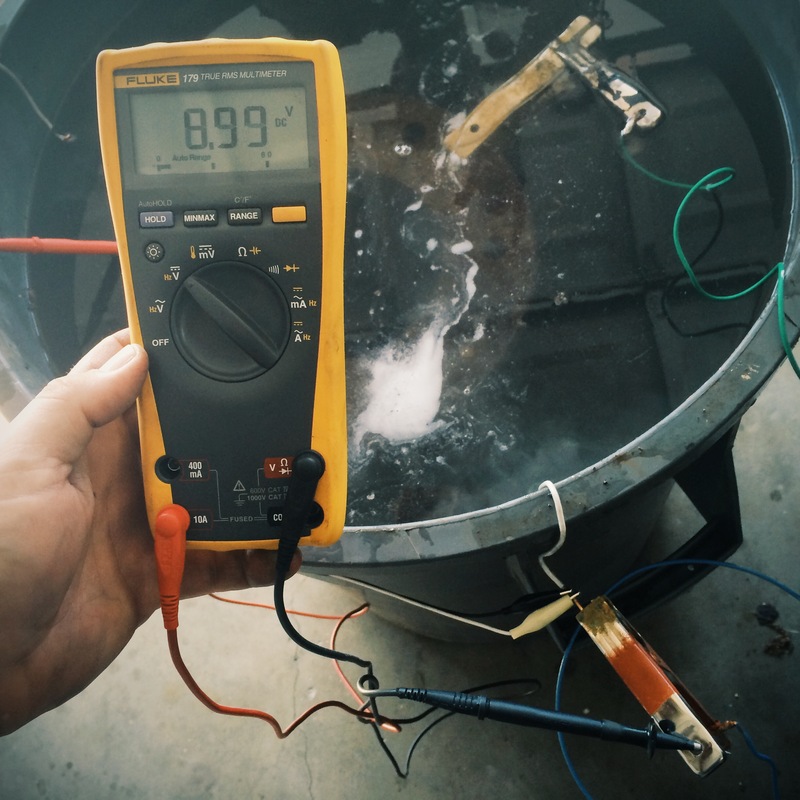 Verify that the currant is flowing with a multimeter. You’ll notice bubbles and scum forming as the process begins. 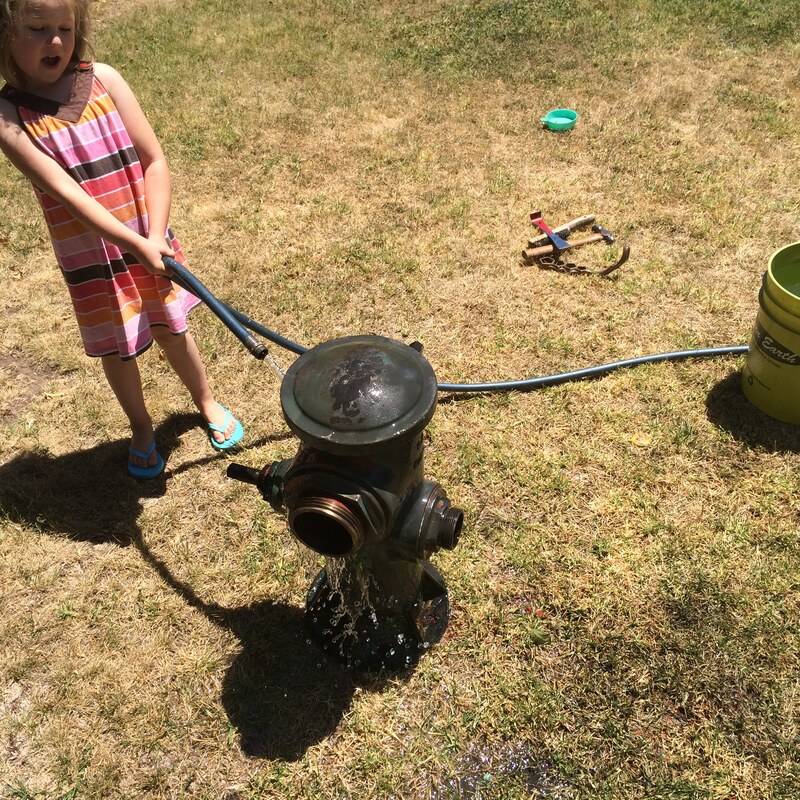 Leave in place for a day or two, depending on how rusty the hydrant is. 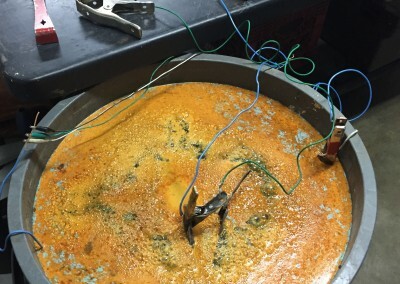 You may need to replace the [sacrificial] anode bars because they waste away during the process. 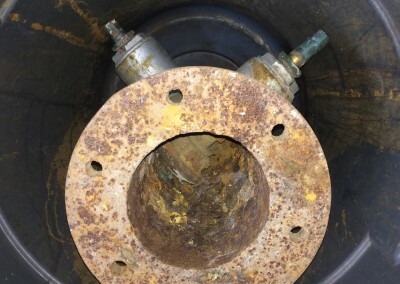 Remove the hydrant and wire brush the loose paint and rust off all surfaces. 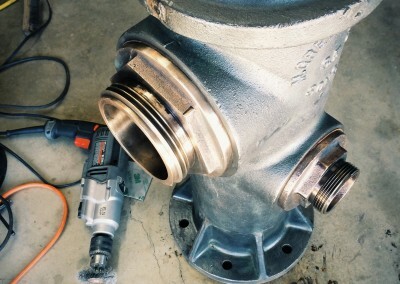 Use a power drill with a wire wheel brush to make this easier. 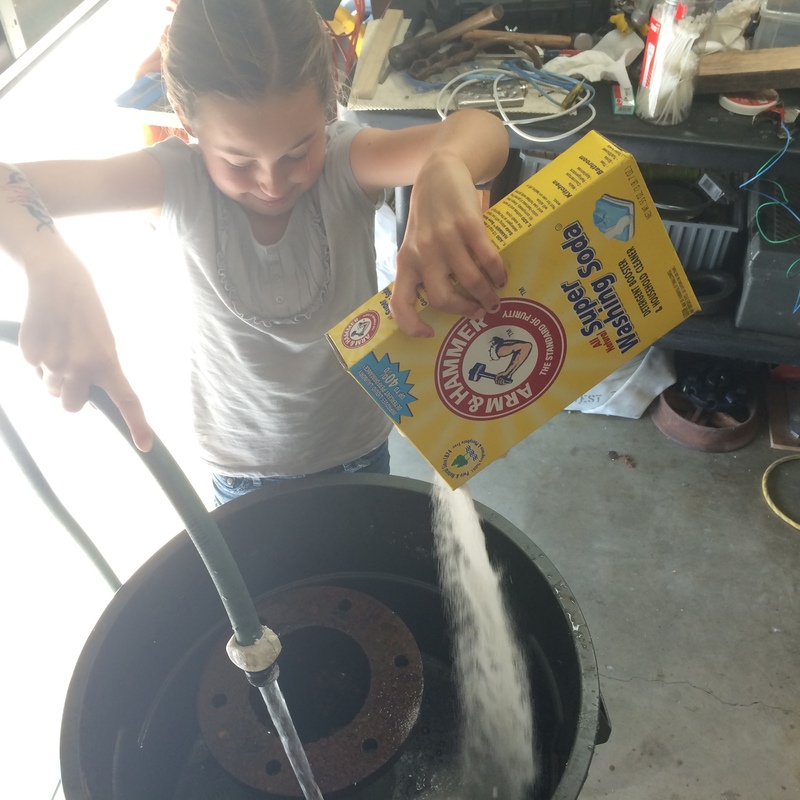 Use the wire brush to shine up the brass valves and actions. Tape off the brass and paint the body with Rustoleum spray paint – apply at least two coats. 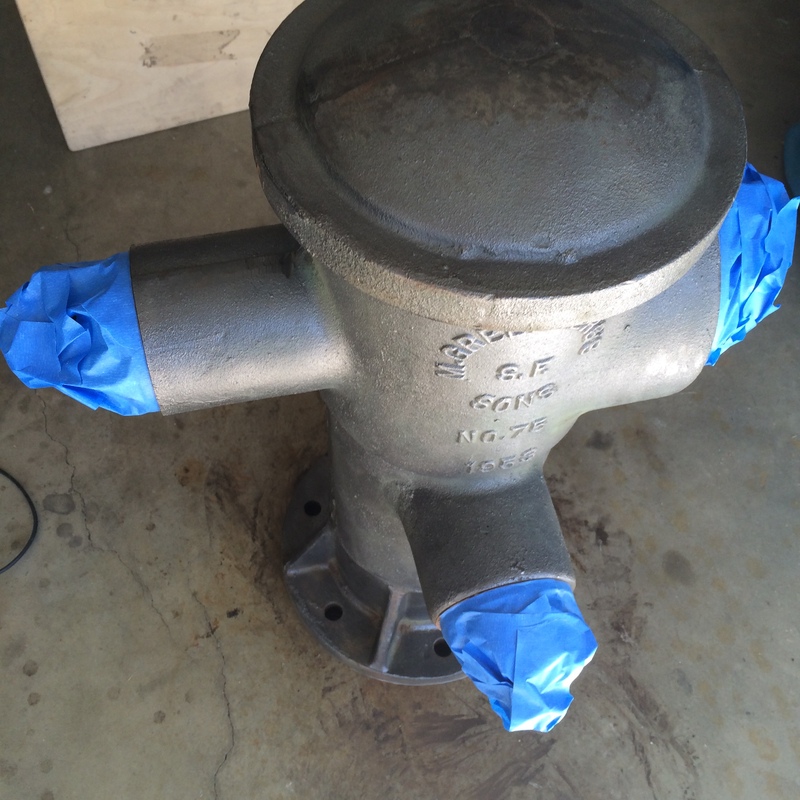 Once dry, tape off the painted body and spray clear coat on all the exposed brass to keep it from oxidizing.